Interested in teaching your toddler to wield the magic word? The magic word gets a boost in this fun picture book by Mo Willems. A determined pack of mice convince a young girl that the best way to get what she wants is to ask politely. 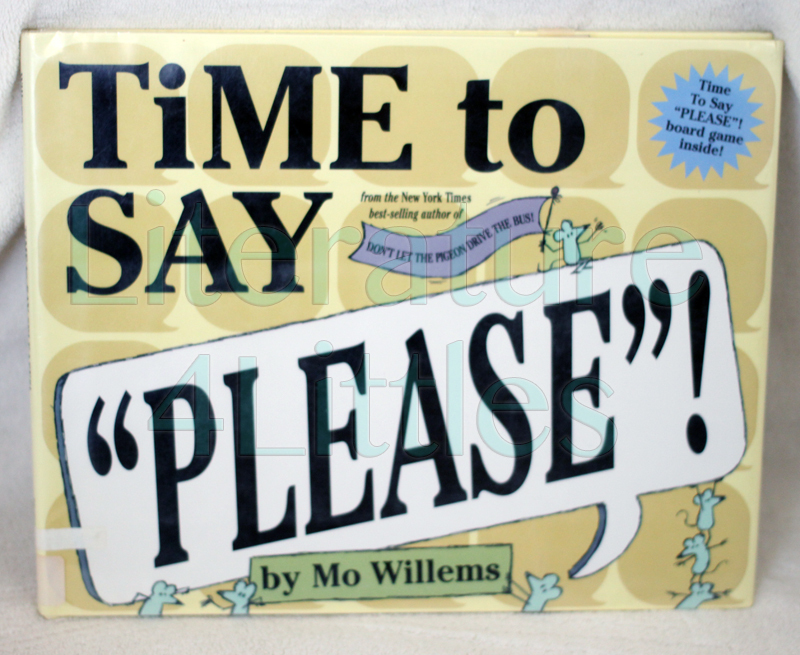 The story also includes examples of how to use “please” in a variety of situations, as well as a brief mention of other useful polite words and phrases. The story is simple enough, but its execution is what makes this book truly special. The text in this story is plastered all over signs, blimps, balloons, toys, and other attention-getting elements. This helps every word in this book stand out, which emphasizes the message. This is a fun book about a not-so-fun subject. Time to Say Please! can be an entertaining tool for helping your little one understand manners. I would recommend this for toddlers through Kindergarten. Previous Post Mini Review: Don’t Let the Pigeon Drive the Bus!